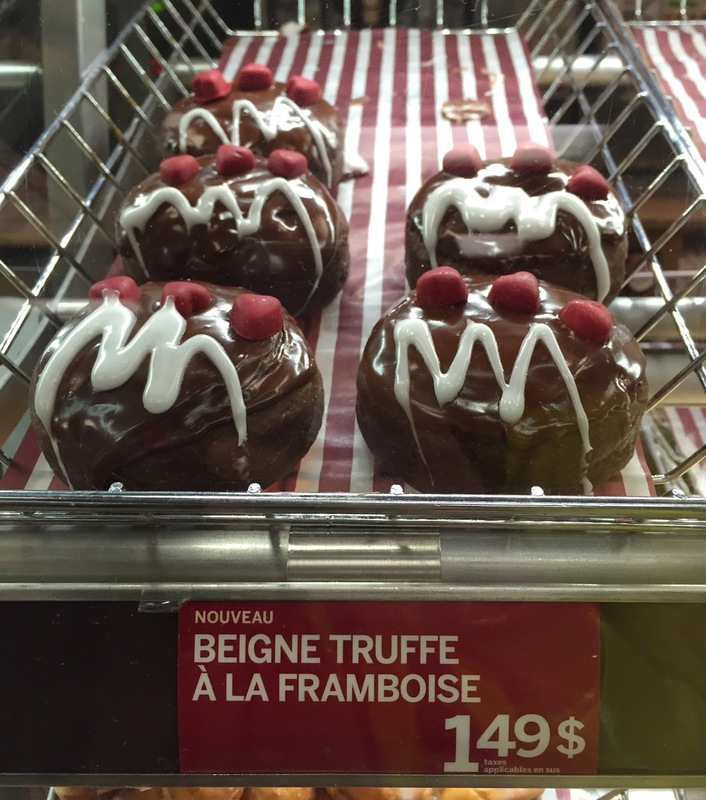 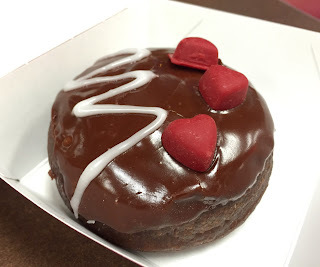 Last time I was in Montreal, I tried Beigne Shortcake Aux Fraises (Strawberry Short Cake Donut), and this time, I tried the rest of the new donuts called Beigne Truffle À La Framboise and Beigne Sandwich Choco-Crémeux. Same as Beigne Shortcake Aux Fraises, this donut was served in a box that looked like holding a burger. Over the chocolate donut, there're chocolate frosting, drizzle of white frosting and 3 heart shaped chocolate pieces. When I reached about half way, finally the raspberry sauce appeared and it's as sugary sweet as jam, and I wish it's raspberry flavored milk chocolate cream instead. 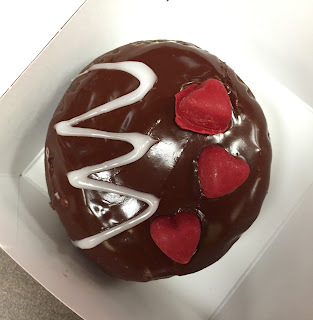 The donut was soft and tasty as usual. 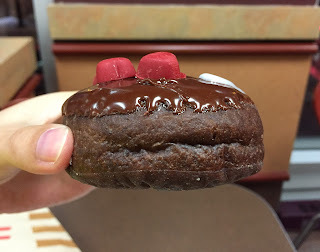 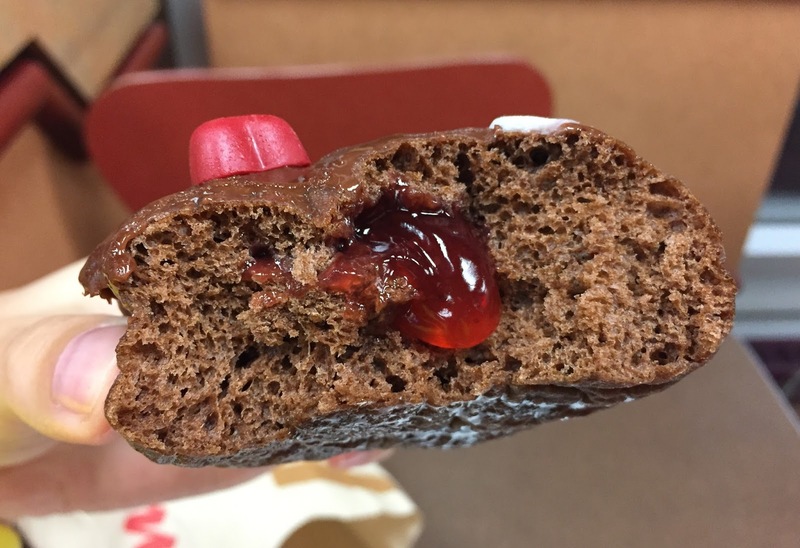 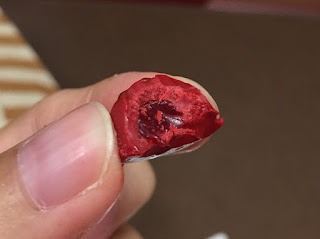 The chocolate on the top also contained raspberry flavored filling inside.